You have reached the right website if you need home care in Arlington, Virginia. Professional Healthcare Resources stands alone as the leading provider of home care in this area. We are a family owned and operated company, and we have been building our reputation for excellence since 1994. This longevity tells you a lot about our client satisfaction rate, and you can visit our testimonials page to gain an understanding of the way that people feel about our home care. A number of the most important landmarks in the United States are located in Arlington. The Pentagon is in the county, and of course, we have all heard of Arlington National Cemetery. Arlington is also a hub of higher education, and many notable military figures and elected officials have called the county home. It is a very special place in so many ways, and it is gratifying to serve its residents. If you are in Country Club Hills, Lyon Village, Clarendon, Lacey Forest, or any other section of Arlington, Virginia, home care will always be nearby. One of the forms of home care that we provide is physical therapy. When you are trying to recover from an injury or medical condition that requires physical therapy, it is counterintuitive to drag yourself to an external facility. We would be more than glad to provide you with physical therapy in your Arlington, Virginia home. We offer occupational therapy as well, and this can allow you to function more independently after a life altering circumstance. In many cases, we assist clients that make it back into the workforce to resume their careers, and this is very gratifying. After a stroke or some type of brain injury, it can be difficult to speak effectively. Speech therapy can make a world of difference, and this is another service we offer to our clients. Many seniors that are largely independent require help with their activities of daily living. Assisted living communities are extremely expensive, and Medicare does not pay for a stay in this type of facility. A home health aide can be the ideal solution, and we have a team of highly qualified home health aides on our staff. Occupational Therapy with Professional Healthcare Resources! 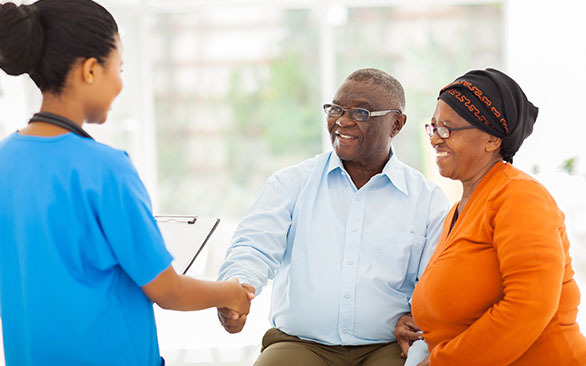 For home care in Arlington, Virginia, PHR is the right choice. If you are ready to make the ideal connection, we can be reached by phone at 703-752-8700, and you also have the option of sending us a message through our contact page.